In collaboration with Credit Suisse and Goldman Sachs, academics from Cass Business School have developed innovative investment strategies which give good returns, but avoid the volatility inherent in commonly-used strategies. Over the last 12 years equity investors have twice suffered large losses on their investments creating a deep mistrust of long-term saving. To address this problem Professor Andrew Clare and Professor Stephen Thomas at City University London have created a viable investment strategy that has since been taken up by the asset-management industry and several products based on it are now available. Professors Clare and Thomas' research was designed to create a simple, easily understandable trading technique which could be made commercially viable. The pair wanted to avoid the problems of trading too frequently (which leads to increased transaction costs) or too infrequently (which risks missing important market moves). They also wanted the portfolio to have sufficient diversification to avoid the perils of concentration, in other words that all the investments would not fall at the same time. The first research in this project published in 2010 looked at trend-following and momentum investing techniques, and found a simple strategy gave better risk-adjusted returns than a traditional passive strategy. Further research in 2013 looked at the optimum frequency of trading, and found that trading once a month, on the final day of the month, worked best. The researchers also found that a portfolio equally weighted across asset classes - such as bonds and stocks - gave sufficient diversification. The research clearly showed that trend-following combined with infrequent trading and equally-weighted diversification across asset classes can consistently reduce volatility without sacrificing returns. Finally, the researchers created a strategy using the same techniques as earlier but now forming a portfolio of property, commodities, bonds, emerging and developed equities. The approach that arose out of the research produces good returns at low risk. The strategy developed by the Cass academics impressed investment professionals and led to its adoption by the asset-management industry: companies including the WAY Group, Credit Suisse and Goldman Sachs have developed investment products based on the strategy. In 2010, Paul Wilcox, Chairman and Founder of the WAY Group, approached the lead researchers, having seen their work presented at conferences, to see if it could be used to construct an investible product. A successful collaboration followed and in March 2011, WAY Fund Managers, the investment professional division, launched WAY Global Momentum Fund. The fund very quickly attracted Â£12 million from retail investors, and the strategy worked in exactly the way the researchers intended and that their research had suggested. Over its two-and-a-half-year life it has produced an impressive performance, with less than half the volatility and with a maximum loss of less than half that of the FTSE100, the normal benchmark for UK financial advisors. The WAY Global Momentum Fund was also the winner of the Innovation Award at the Moneyfacts Investment Life and Pensions Awards 2011. The success of the WAY Global Momentum Fund was followed by the creation of a multi-asset class fund in partnership with Credit Suisse, which is based on the Cass Trend Master Index, an index derived from the Cass technique. This was the first time a British academic institution agreed to associate its brand with a commercially-available investment strategy. 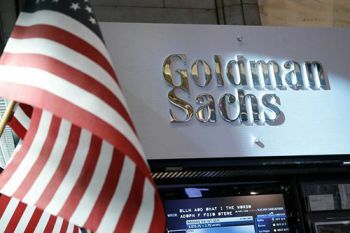 The research also forms the basis for a range of single-asset class indices developed with Goldman Sachs which will employ Cass branding. These products will be available to the mass-market, for example through ISAs. Professors Clare and Thomas' research is widely available, published freely, totally transparent in its technology and is a direct challenge to business models entrenched interests in the investment management industry. The investment funds underpinned by their research offer investors lower fees, low volatility and protection against risk. Clare A., Seaton J., Smith P.N., & Thomas S. (2013a). Breaking into the black box: Trend following, stop losses and the frequency of trading - The case of the S&P500, Journal of Asset Management, 14(3), 182-194.
, Paper presented at the International Conference on the Global Financial Crisis, 25th-26th April 2013, Chilworth Manor, Southampton, UK. (SSRN Working Paper 2126478). New York: SSRN.
. International Review of Financial Analysis, 31, 1-12.